IHRC calls on the Nigerian authorities to immediately release scores of people detained last week during events commemorating the Islamic occasion of Ashura. 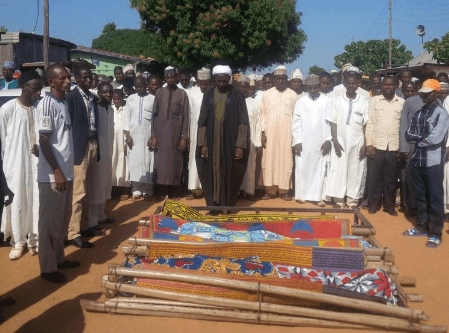 The detained were among supporters of the Islamic Movement of Nigeria (IMN) targeted by security forces across several states in northern Nigeria in a continuing crackdown on the organisation and its mainly Shia followers. Over a dozen people were killed by police and army gunfire during the processions last Wednesday and many others beaten by thugs hired by the authorities to sabotage the events. Places of worship associated with the IMN were also attacked. Mnay of those detained are minors. Among them was a three year-old girl called Salamatu Yunusa held in the city of Jos in Plateau state until her release yesterday. Minors are also among the detained in Katsina state. IHRC echoes a statement put out by the IMN calling the arrests and the trumped up charges that followed them “an embarrassment to the nation” and reiterates the IMN’s call for the injured among the detained to be given appropriate medical attention. “They are prisoners of conscience. This is unfortunate and a gross miscarriage of justice. All humanitarian laws recognise that prisoners should not be denied medical treatment,” said the statement. This year’s Ashura processions were preceded by a military build-up that was reminiscent of the run-up to the massacre last December of at least one thousand IMN supporters by the army. There was also a spate of arrests of IMN supporters in response to a recent state-wide ban proscribing membership of the movement. The ban appears was widely interpreted as an attempt to further weaken the movement whose leader Shaikh Ibrahim Zakzaky remains in detention following his shooting and arrest during last December’s massacre. Photos of detained 3 year-old girl Salamatu Yunusa are attached and a copy of the letter her mother wrote to the authorities asking for her release.